Feel free to post any questions you may have in this discussion, either before you purchase or during construction. Or, post pictures of your finished mini lathe carriage lock. 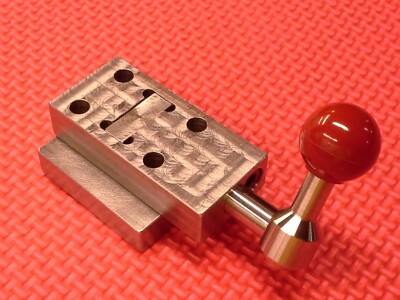 I designed this "Carriage Lock" to fit the Seig C3 mini lathe. (It could also be user modified and adapted to other lathes by changing dimensions as needed.) I have mine fitted to my MicroMark 7 X 16 mini lathe. It is designed to be mounted centrally under the carriage so the locking pressure is distributed equally to all four corners. 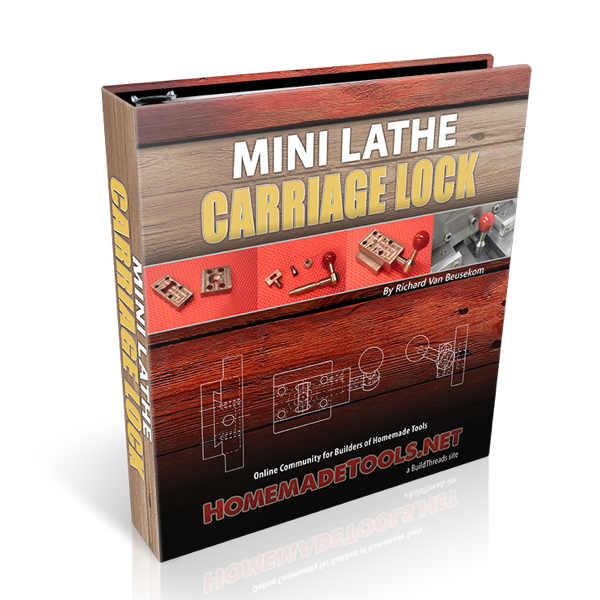 The completed carriage lock is very effective, requiring only finger pressure on the red knob to lock and unlock. There is no fumbling around hunting for a hex wrench. The entire project can be built using only your mini lathe equipped with a milling attachment or top slide (compound) set up vertically and used as a milling attachment. Last edited by old_toolmaker; 04-14-2018 at 07:00 PM. Reason: edited for clarification.